So excited that the SB Writers Conference is coming around again soon. dedicated to Jill Abramson , Wes Ginther and Marcia Meier (so far…) xxoo! Cat Johnson had been a writer since she was a very little girl. Some people say it’s in the blood, or maybe in the bone. Maybe it was because when Cat was thirteen she had seen two things. One of them was a movie called “Love Story.” And one of them had to do with watching reporters on television talk about Watergate. Her mother taught her how to write, in the long evenings they spent together talking about poets like Dorothy Parker. “Let’s write poems tonight,” she’d say. Since the expression “children should be seen and not heard” was a kind of mantra for Cat around the adults, she often took to her room with pen and paper and scribbled little things out. By Junior High, some of those things were getting published in a little anti-war paper her friends were putting together. They called it “The Star-Spangled Underground Revolutionary Free-Press,” and it was an antidote to the school paper of the times. Cat was always fashionable, and quiet. It was when she saw Ali McGraw dressed in all that preppie plaid that Cat, pouring over her Mademoiselle magazine and Seventeen, first saw the contest that Sylvia Plath had won. She wanted to be a Radcliffe girl too. Her mother certainly dressed her for the part. That year she had her first midi skirt, brown plaid shot with yellow and chocolate opaques. It would be the year she first tasted a cigarette in all her thirteen year old ennui down on the old wooden pier off the Biltmore. In Woolworth’s at the counter, her best friend said to her, “Cat, I bet you could write one of those,” as she pointed to the Romance novels and spun the tiny rack around and around. “I bet I could too,” Cat proclaimed, picking up a blackberry stained lipstick that was going to be all the rage that year. Not that her mother ever let her wear it. Cat had to sneak it, just like she rolled her skirts to be shorter, because all her friends were wearing fishnets at the time. No, Cat’s mother never let her do anything the crowd was doing. Not really. Life got in the way for Cat. Radcliffe and the idea of going to an Ivy League school faded with her first real relationship. She was in love at nineteen and she had taken her mother’s advice about going into fashion. That had been her mom’s career and she was a big boss. Cat knew that was one way of traveling the world, because the fashion crowd did. Each month as her magazines rolled in she could see the models on location. It looked like it was going to be fun, and so by the time she was almost twenty she had risen to the position of assistant buyer for a department store in Santa Monica very similar to the one her mother had worked for. There was just one problem. All the part time girls were going to UCLA. Two years out of high school all Cat had to show for her paychecks was a closet full of the cutest clothes ever and a bunch a make-up. She looked across the floor at those girls, and if I’m honest with you, Cat was jealous. It was boring doing nothing but fashion and modeling, even if she had the best lipsticks in town. Her boyfriend was history by then, too. Saying goodbye to Ruth Bennett was going to be the hardest thing. She had been Cat’s boss, her first real boss and she was like the Dorothy Parker of the fashion business, personified. She had taken Cat to the Mart on so many buying trips Cat’s head spun. Dorothy wore furs and pearls and her eyes twinkled like tiny stars were swimming there. She chain-smoked in her office and she ruled the second floor where all the designer clothes were. 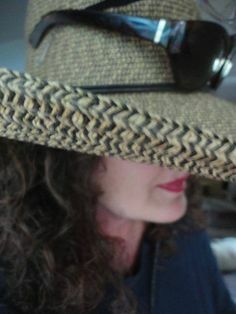 No man dared to cross her, in those little tipped hats she wore. Not even the store manager. They had pored over Women’s Wear daily together, done lunch at every hot spot in Los Angeles, had cocktails on Sunset after work. Ruth was in her sixties when she had taken Cat under her wing. “I will. I promise,” said Cat, punching out on the timeclock for the very last time. She only went back once or twice, after school started. By then she had an assistant buyer’s job part time. She had traded in her mahogany leather briefcase for a simple backpack that could hold all her books. She was already two years late starting college, and it was a Junior College at that. All Cat’s friends wanted to get married. At night when they went out dancing they were looking for husbands. You only had two choices in those days if you were a woman. You could get married, or you could have a career. Cat wanted both. Cat had already read Sylvia Plath and Erica Jong. Cat was in love for the second time with her art teacher. It seemed like every time Cat wanted something there was a man barring the way. Either they were in love with her, or they were telling her why she shouldn’t do something, and why bother with school, and that they needed her. Cat had to break free. The future looked like strangulation without her degree. Hadn’t her mother always told her it was a man’s world? “What good is that degree going to do you?” her mother said. Cat’s mother had never discussed marriage with her except to say it was disastrous. Direction was a compass and Cat had to find her own way. No women in the family had ever been to school because it wasn’t expected of them. They were just supposed to be wives, and that would be enough. School was a place that Cat could excel. She was getting straight A’s on her papers. She was able to choose from the endless variety of classes she got to pick. School was fun, and she began to take art again. She got some cameras. She could be a photojournalist like that boyfriend she had. She was learning about Walker Evans and James Agee. She was taking a Women’s History course and reading Kate Chopin. All of a sudden it wasn’t enough to just be nothing. Cat called herself a feminist, just like Kate. Or just like Georgia O’Keefe. Women who had done something became her role models, and it was this attitude that propelled her up the coast to transfer into the University where she was going to finish and get her BA. I don’t think she really noticed Storke Tower as she crossed the campus to the UCEN. It would be much later that the significance of that in the community, or who Storke was, would leave an indelible impression on her. All Cat knew that summer in ’81 was that she was enrolled in the Winter Quarter and she was about to move home to the little town where she had grown up. Her old best friends from High School still lived there. She was going to leave home for the first time and live on her own. It had taken long enough. She was too old to live in the dorms, and she needed to get a job. It was on a hot dusty summer day, just after Fiesta, that Cat Johnson stepped inside the foyer of one of the oldest buildings in town. She wouldn’t even be learning about the architect until much later when she studied Art History, except he was George Washington Smith. It was just as formidable in its own way as the courthouse building. alnut of the heavily polished countertop, while she waited for her appointment. She had gotten the job. The vast room that contained the advertising department was abuzz with people at antique desks, all dark brown, and all facing the counter. People smiled and buzzed around each other in a sea of action. Cat let out a sigh. It was going to be just like Watergate. She knew it. Posted in ABOVE THE FOLD, Americans, book, character sketches, feminism, feminist history, novel, print journalism, Second Wave feminism, Writers, writing. Tagged 70's, ABOVE THE FOLD, assistant buyer, back story, buyer, Cat Johnson/MC, era 1981, fashion, feminism, influences, jobs for women, love story, Mademoiselle, magazines, midi skirts, NEWSPAPER WOMEN, novel, opaque tights, pre-NYT, preppies, Redcliffe girls, Seventeen, themes, UCSB, Watergate, young adult.